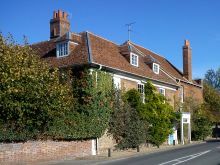 A few years ago, Sky Television ran a viral advertising campaign that featured a live action version of the famous opening sequence from The Simpsons , filmed at various locations in the UK, promoting Sky One as the home of The Simpsons on British television. The animated version begins with the camera swooping over the Springfield Nuclear Power Plant. 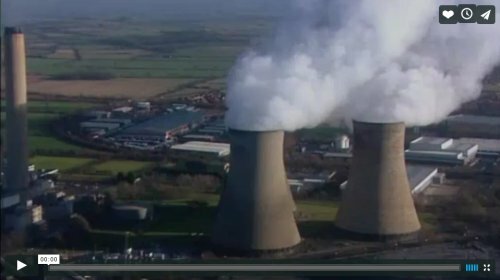 In the live edition, the opening frames actually show not a nuclear power station, but the coal-fired Didcot Power Station. The power station is seen briefly again half way through the clip, as “Homer” swerves across the road in his car. In just under four weeks’ time, the three cooling towers shown at the start of the film are to be demolished in a controlled explosion. They haven’t produced steam, as seen in the video, since March last year. The remaining three cooling towers, to the north-west of the site, will be taken down at a later date, probably by mechanical means, for unspecified reasons, which may be that they are too close for comfort to the still-operating Didcot B gas fired power station.